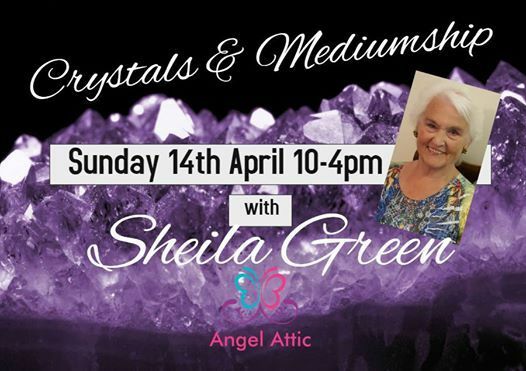 This long awaited workshop with Sheila Green is here on Sunday 14th April from 10-4pm here at Angel Attic, and we are thrilled, so why not come along and join us. The cost being £25.00, secure your place with a £10.00 deposit, and is open to all aged 18 and over. 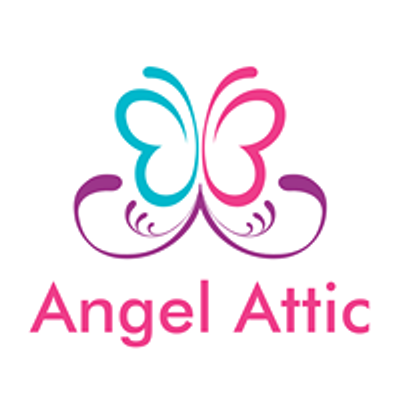 Our Angel Attic buffet is an additional £7.00 (payable on the day) which does include your tea/coffee during the day. We have no facilities for food to be bought onto the premises. 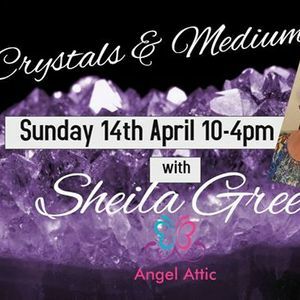 Understanding and working within mediumship with crystals, and their healing abilities, crystal healing, and so very much more, a busy day with Sheila, as she unlocks your potential, and enables you to grow within your mediumship. This workshop is open to all levels. Booking your place could not be easier, simply click on the link below, or call nto Angel Attic to reserve your place.